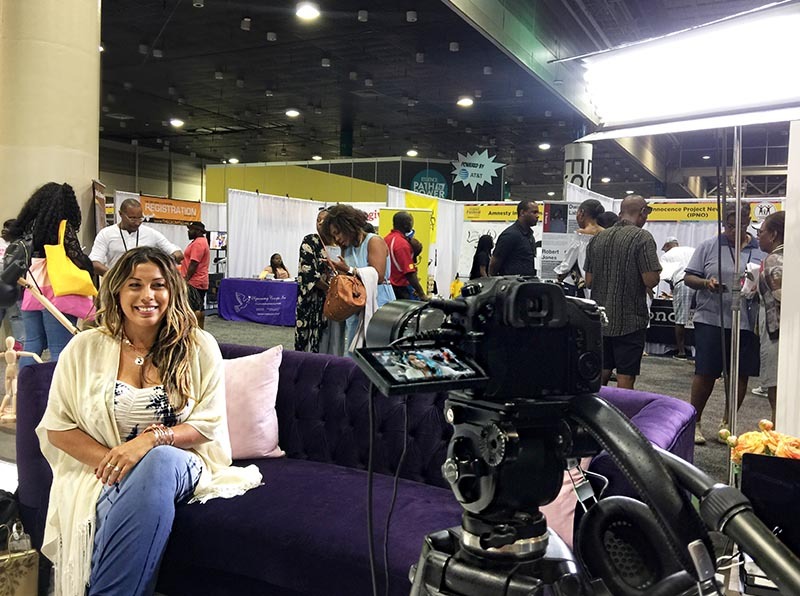 Essence Festival is one of the most unique beauty conventions out there. It’s more than just product and promotion, it’s a place that is dedicated to celebrating and empowering women of color. In a time when most men and women of color feel disregarded and disrespected by cosmetics companies, Essence reminds us why melanin matters. As a Latina, I was in awe all festival long to see so much beauty in one place. From amazing events, to impromptu flashmobs, there’s no way to leave Essence uninspired. Brands are finally taking notice and starting to cater to groups that have long been forgotten by the beauty industry. Read along to discover my favorite events from this year’s festival! 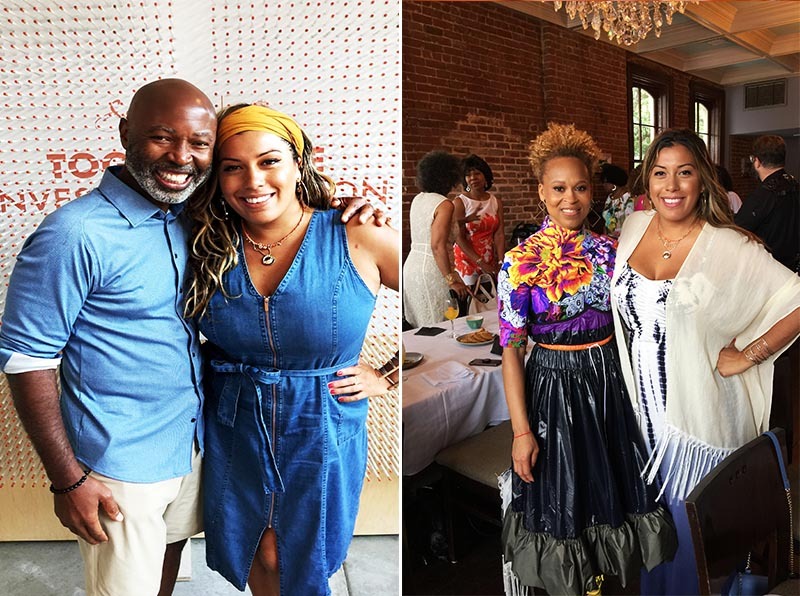 During a delicious brunch event, Dove shared a short compilation of stories highlighting how Black women are often excluded from the beauty conversation. They announced their plan to create the Dove Black Beauty Alliance – a group of influencers who will work with to create a positive impact for Black women and girls. The conversation started with the absolutely breathtaking energy of Esi Eggleston Bracey, who pierced our souls with her truth about beauty. Her experience is one many of us dream to have but her stand is so much more powerful. She left nothing un-said and shared with us the core of Dove. Dove believes that every woman deserves to see beauty as a source of confidence. For more than 60 years, Dove has stood for celebrating the authentic beauty of all women and challenging stereotypes. As Bracey said, while Dove has not always gotten it right, particularly for Black women, they are committed to learning and doing better. The video compilation brought tears not only to my eyes, but to many women in the room. I saw first-hand how being empowered by a major cosmetics company lit up the faces of the women around me. I left hugging and holding hands with these women, excited for their journey. 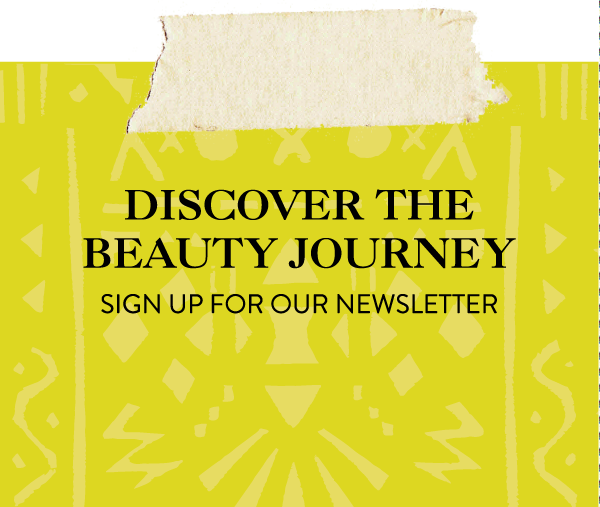 Together, we can redefine beauty for the next generation. My most frequented area at Essence was the Shea Moisture pop-up. They delivered the best in-house entertainment, and had everything from DJs to hair stylists. I was able to see so many of my friends working at the pop-up. Additionally, I met other entrepreneurs in town for Essence like the one and only Nyakio. Make sure to google her if you dont know who this Beauty is just yet. It was definitely the place to be. I also had the pleasure of moderating some live styling demos at the pop-up. I learned so much from simply seeing some of best curly hair influencers show us their skills, and learning some great trade secrets. One of the most exciting things that came out of the Shea Moisture was their announcement of the New Voices Fund: a $100 million investment to empower women of color entrepreneurs to scale their businesses and continue impacting the communities that have played such a vital role in their success. New Voices will be a virtual and real-life community focused on delivering access to capital as well as entrepreneurial excellence and expertise. I was blown away by the energy of the women lining up to sign-up and share their ideas. I could see the sparkle in all our eyes, the possibility to be heard and receive guidance in how to grow. As a graduate of a Dartmouth fellowship sponsored by Shea Moisture, I can personally attest that this brand is taking a stand for our future in business. I’m so excited to see more of these programs start up as part of a larger movement to empower women of color entrepreneurs. I was lucky to have two clients speaking at this event, which gave me the ultimate access. 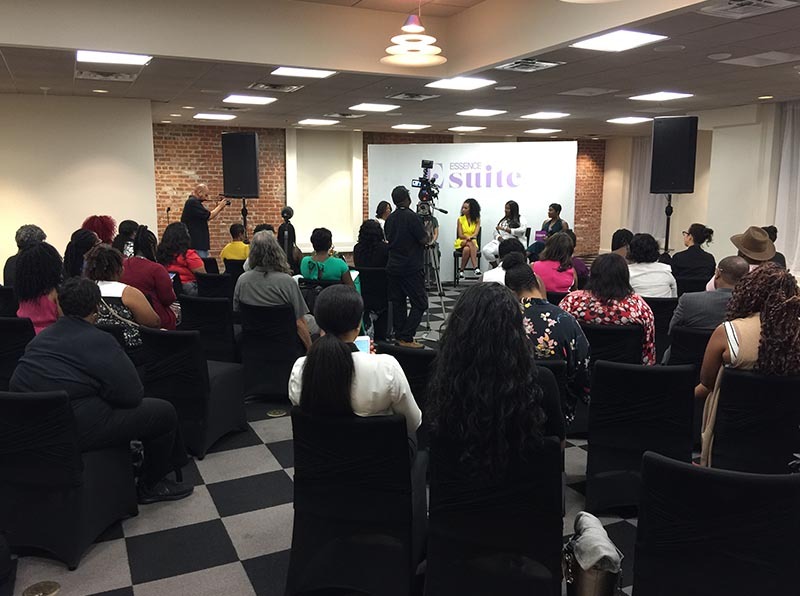 I had the privilege to attend this exclusive event for entrepreneurs, career-driven women, and business leaders. In total, it was two days of keynote talks, intimate conversations, and breakout groups where attendees cried, prayed, and connected. I’ve attended many events, but this one was so different. It was real and honest when speaking about the struggles facing female entrepreneurs of color, but inspirational and motivating in its message. I held my heart listening to the rawness of Myleik Teele’s journey to boss lady as the Founder and CEO of curlBOX, and cried listening to Lisa Nicholls discussion about unlocking our abundance to achieve the greatest heights of personal success. In between the powerful sessions, we had the opportunity to mingle with attendees and share our business visions. It was a beautiful event that sparked a lot of creative juices, and I left with long-term relationships that I know I will support forever. 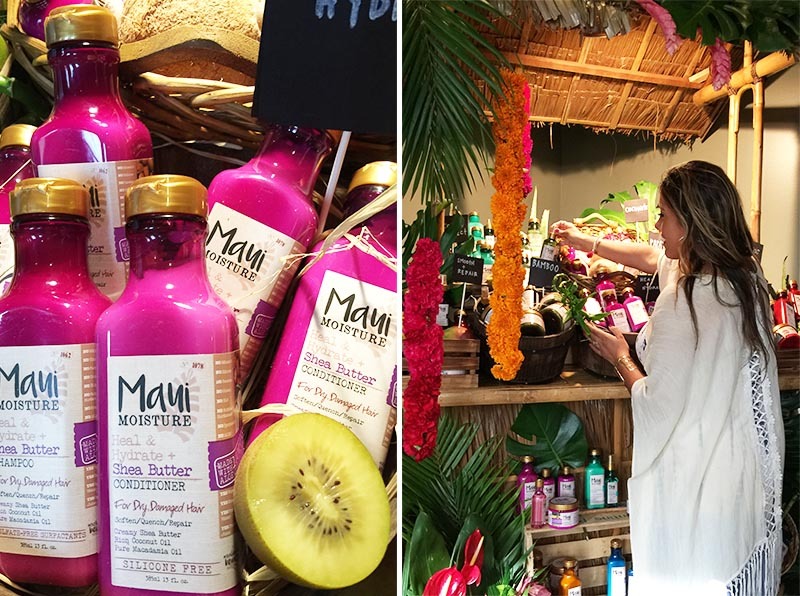 Being a huge fan of the beautiful island of Maui, I was excited to attend the Maui Moisture Cocktail Dinner Party taking place during Essence. I always wanted to know more about this brand as we love to focus on ingredients that are globally inspired. What I didn’t expect was to become a ride or die fan by the time I left. 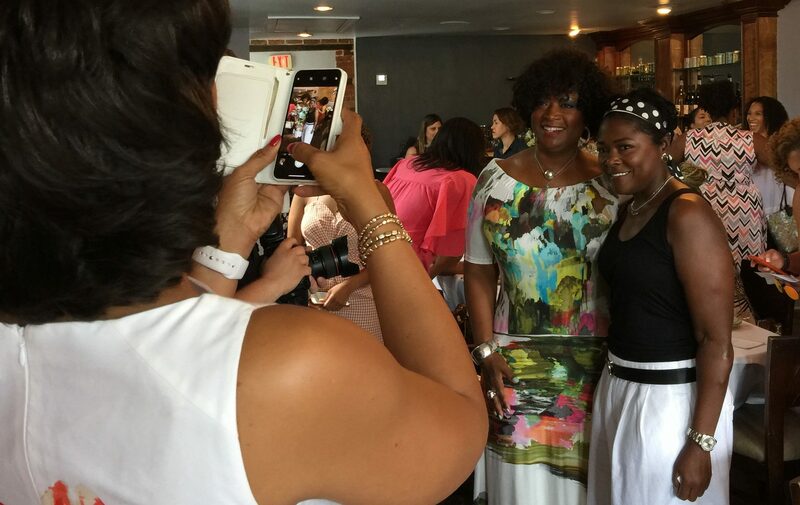 Yes, you can blame the cocktails, but it was really the founder Michael Marquis that inspired me to take a closer look at the brand, and their commitment to all textured hair. Instead of using a water base, they use healing and moisturizing Aloe Vera gel. 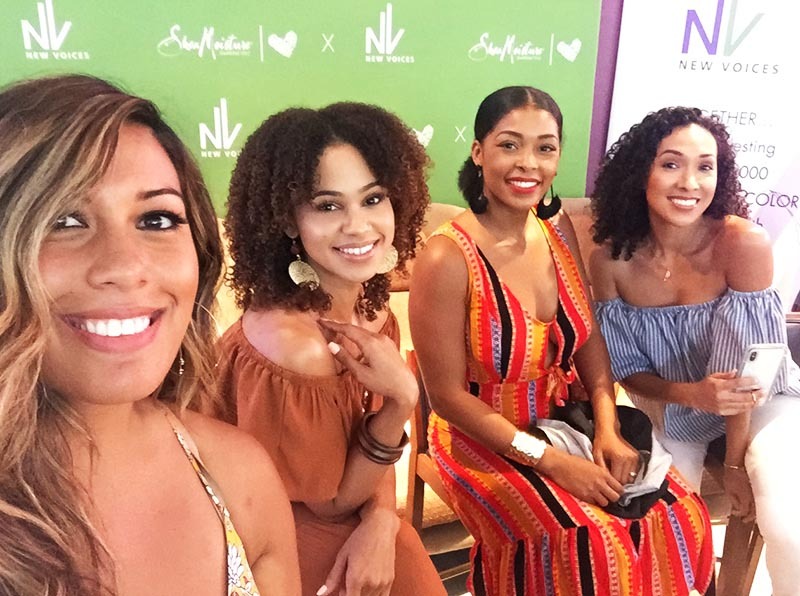 At the event, I mixed and mingled with beauty influencers and previewed the next Maui Moisture collection. It has six amazing ranges for all different hair-types and textures, and it’s like a tropical vacation for your hair every time. This has definitely become a new favorite of mine, because it’s totally #globalbeauty inspired. 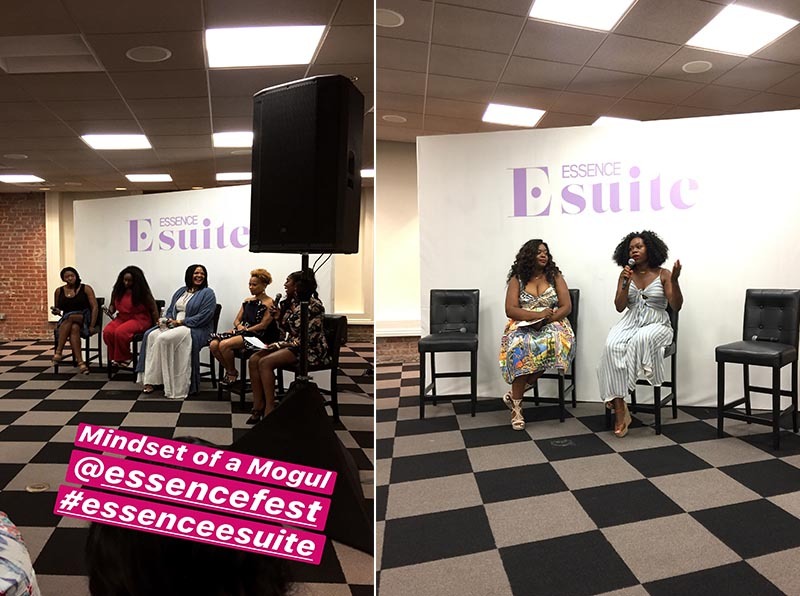 I’m still processing all the amazing women, brands, and beauty I saw at Essence 2018. 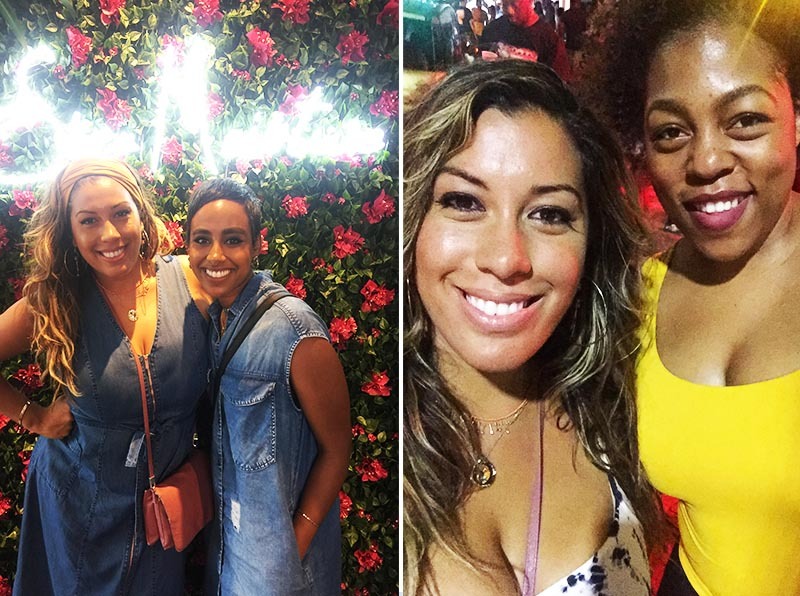 The vibrant backdrop of New Orleans only added to the party-like celebration of women of color in the beauty industry. For the first time in a long time, I finally feel like companies are taking notice of the powerhouse buying power and influence of women of color. Essence, I don’t know when I’ll be back, but you truly stole my heart away. 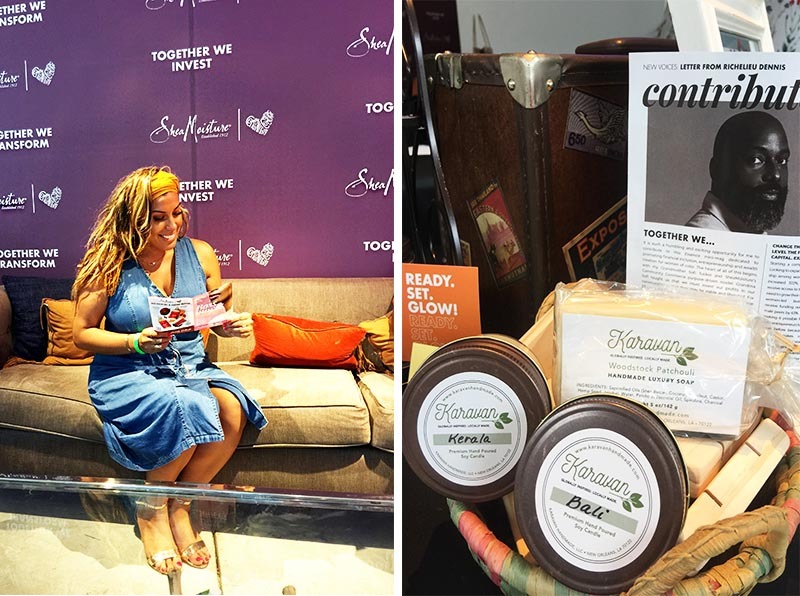 Supporting the New Voices at the Shea Moisture Pop-up. Love the local New Orleans candle line Karavan inspired by global destinations. I decided to also pitch my idea with New Voices. Why not!